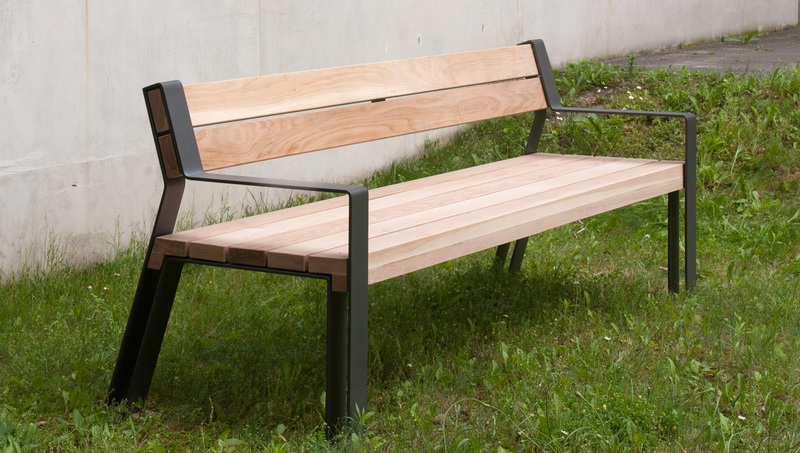 We designed this bench for the KMB Metallbau GmbH. 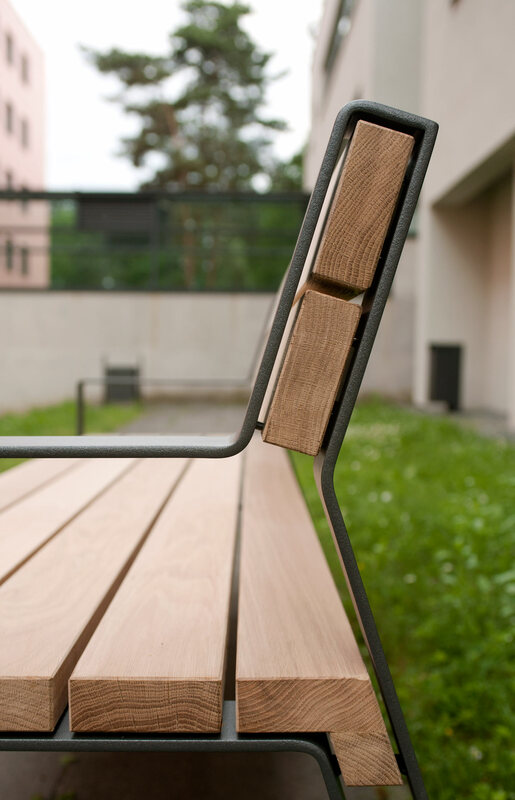 The characteristic feature is the continuous steel band which frames the wooden slates. The side view shows the light appearance.